Local group Singstars and pupils from St James’ Junior School performed for shoppers on December 8. Santa invited children from Copeland and beyond to come and check if they’re on the naughty or nice list this year and visitors were able to indulge in a warming winter waffle from Blessings Bakery whilst browsing the goods on offer. Good included a selection of toys, books, cosmetics, candles, local crafts, cakes and fruit from one of the 18 stalls. 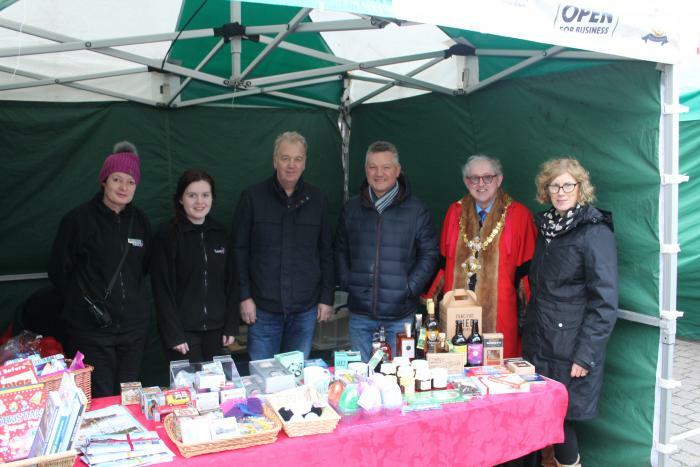 Whitehaven Brass Band and St Begh’s Catholic Junior School will also be spreading festive cheer on Saturday (December 15) at the market’s second seasonal event. Copeland Borough Council will also be running a best dressed stall contest to ramp up the Christmas competition on this date. Free parking will be offered by Copeland Borough Council at The Ginns car park, located just off Preston Street. For more information and to hire a stall email whitehavenmarket@copeland.gov.uk  or call 01946 593014.